The 75-year-old actor has failed to pay the mortgage for a year on the £1.4 million house – which comes with 4.5 acres of land – and is being taken to court for owing Merrill Lynch Credit Corporation around £730,000. According to the South Florida Sun-Sentinel newspaper, the loan was taken out in 1994 by the 'Boogie Nights' actor, and the lawsuit was filed at the Martin County Circuit court on August 9. Two years ago he put the 12,500 square foot mansion – which features a private beach a boat deck and its own hair salon – up for sale for £5.4 million. 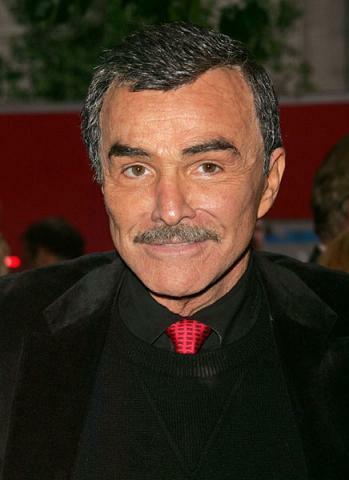 Burt is not the only star to recently face problems with paying their mortgage. 'I Believe I Can Fly' hitmaker R. Kelly had a foreclosure filed against him by JPMorgan Chase Bank for £1.6 million in June after failing to pay back his home loan for a year. According to Crain's Chicago business news, the house - which is based in the Olympia Fields suburb of the city - lost 26 per cent of its value in 2009, plummeting from £3.1 million to £2.3 million.